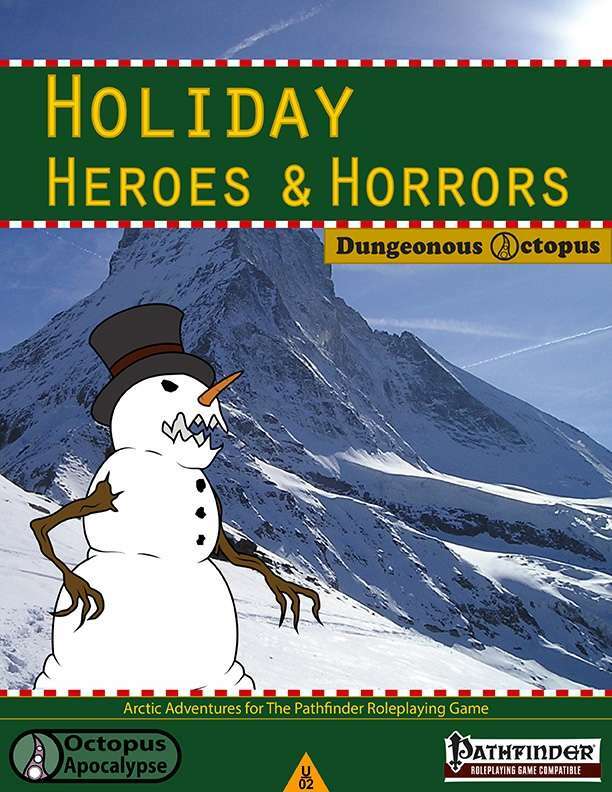 The next goody under the angry treant stuck in the little pot in our living room is Holiday Heroes & Horrors, a holiday and arctic themed supplement for the Pathfinder RPG from the wonderfully named Octopus Apocalypse. Packed in the 18 pages are details of a new arctic region called “White Hell,” rules for snow blindness, a new item, item quality, and item material, two new magic items, three new spells, two new races, and a bunch of new monsters to top it all off. As with many holiday themed products, the material and illustrations are a bit whimsical, but if you’re looking to bring some lighter fun to your Pathfinder games, then this would be three bucks well spent. You can find a copy at DriveThruRPG.